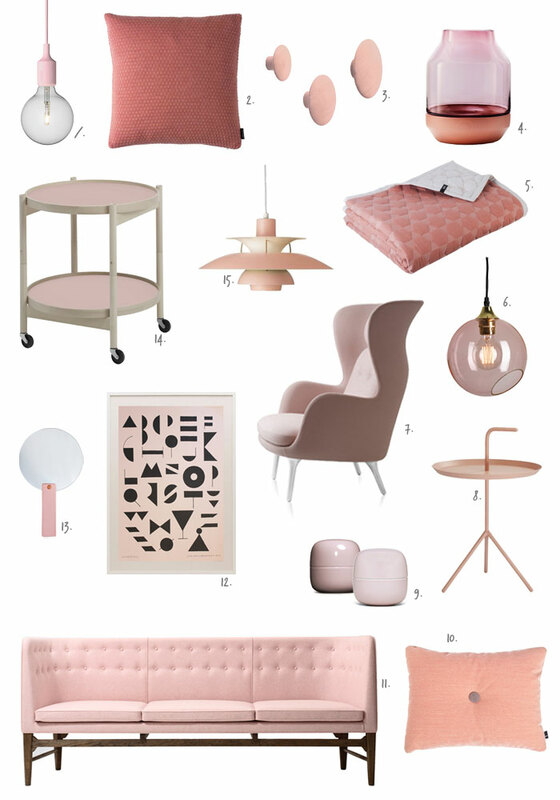 While pale pink has been a major favorite in the last few years (see here a 2012 post, ‘Going Pink‘), it is still very trendy this season! This color is beautiful and sophisticated when combined with all shades of grey, and brass or copper accents. The mix of sparkly details with matte effects creates a harmonious whole. Whether you prefer a more classic or modern look, rosé hues can add a sophisticated and elegant touch. Just make sure you use it sparingly: The season’s look is all about discreet luxury rather than overly sweet and romantic.